From the architecture of a skyscraper to the spiral of a seashell, everything around us follows mathematical laws. 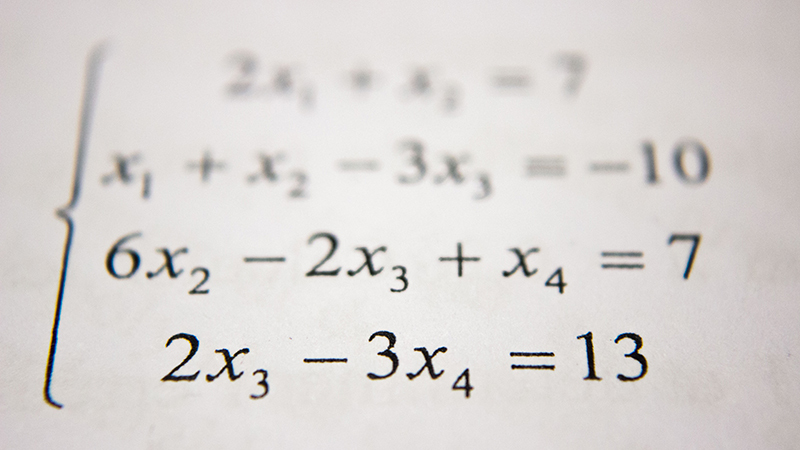 In our undergraduate program, you’ll connect mathematics in a meaningful way to your own life. You’ll see how each topic connects to your deepest self while growing as a mathematician and a person. You’ll learn to understand deep mathematical concepts and how they relate to real-world applications. By seeing how the infinite nature of your own consciousness is captured by these mathematical concepts, you will experience mathematics as a natural part of yourself. In our classes you’ll see how mathematics connects to areas such as computer science, economics, biology, physics, art, and more. As a student at MUM, you’ll take only one full-time course per month, instead of juggling multiple classes, exams, and homework assignments at once. 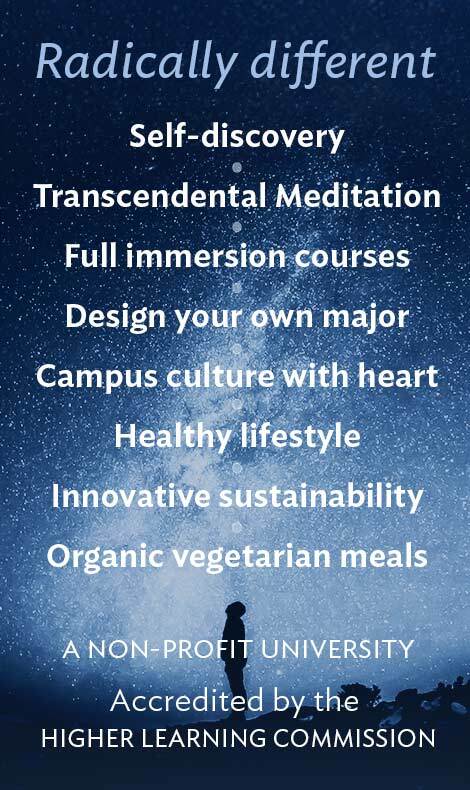 You’ll have the time you need to dive deeply into each course. Our small student-faculty ratio means that you’ll have plenty to time to ask questions, connect with your professors, and receive the support you need for academic and personal success. 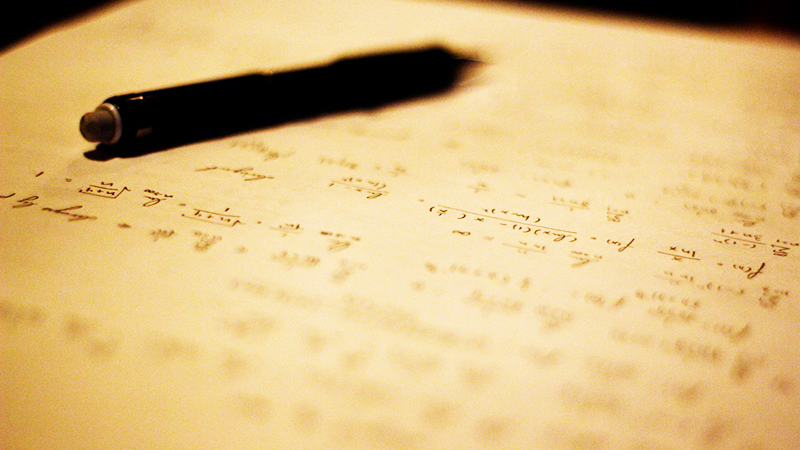 In our mathematics courses, you’ll be challenged and expected to meet high standards. You will learn how to justify mathematical arguments logically. In our classes, you will engage in activities that will allow you to see the beauty of the organizing power of mathematics, the language of science. You’ll graduate prepared for a career in a technical area or graduate study in business and other professional or scientific areas. This track combines mathematics courses with courses in computer science. Success in this track leads directly to our graduate Computer Science program: upon graduation from this track, you’ll be prepared to complete the Master’s program in just over a year. 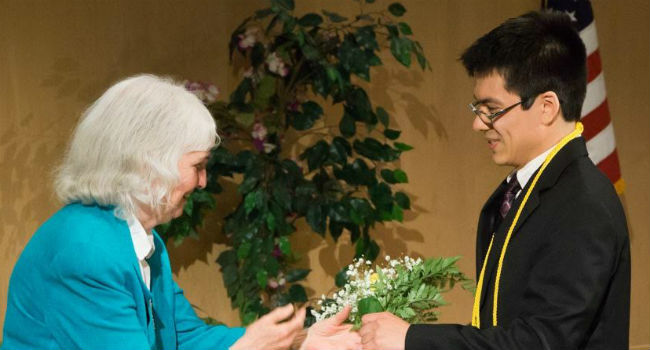 As a student, you’ll have the opportunity to present your research papers at the annual meeting of the Iowa Section of the Mathematical Association of America, where several of our students have received Outstanding Student Paper awards. You’ll also participate in national and regional mathematics competitions, including the annual Putnam Competition. 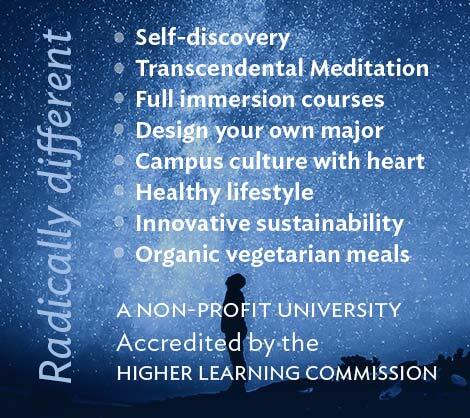 This course will introduce you to our unique system of Consciousness-Based education. 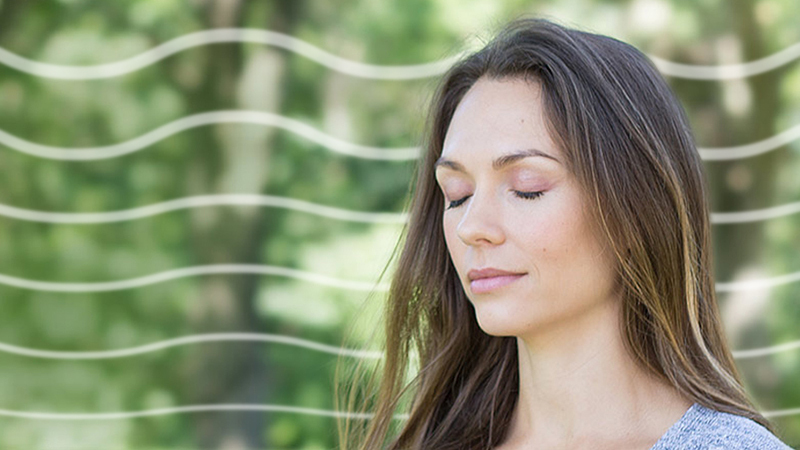 You’ll learn Transcendental Meditation, discover what we mean when we talk about “consciousness,” and participate in a 3-4 day base camp focused on team building and leadership skills. Calculus is the study of continuous change. You’ll gain a clear understanding of the language and concepts of calculus and how they can be practically applied to daily life and real-world situations. Topics you’ll study include limits, continuity, derivatives, applications of derivatives, integrals, and more. You’ll learn about linearity, the simplest form of quantitative relationship, and learn how it can be applied to mathematics, biology, social sciences, and other key areas of study. Topics covered include systems of linear equations, vector equations, and matrices. 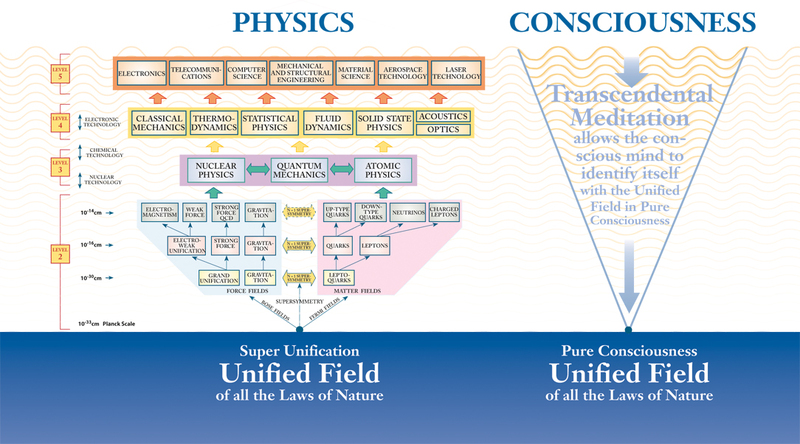 You’ll connect your mathematical research to the underlying tenets of Consciousness-Based education in a final paper. You’ll also prepare an oral presentation based on your paper to be submitted to our annual Knowledge Fair, giving you a chance refine your speaking skills. Dr. Anne Dow holds a PhD in in Mathematics from the University of Queensland, Australia. For many years, she has taught courses in calculus, linear algebra, abstract algebra, and many more topics at all levels of the undergraduate curriculum. She has also taught graduate courses in partial differential equations, mathematical statistics, and real and complex analysis. Anne came to MUM because she found the students here to be happy, alert, focused, receptive, interested in mathematics, and able to understand their courses deeply. She sees mathematics from a wide perspective, where each topic covered is seen in relation to the rest of mathematics, the environment and society, all of knowledge, and oneself.